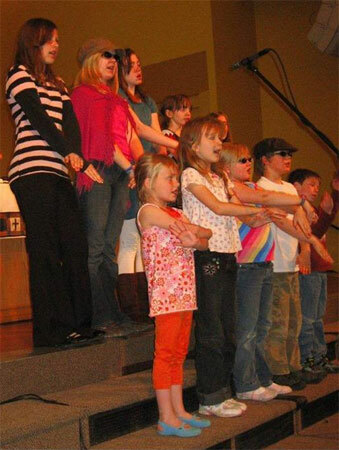 Our youngest singers, aged 3 years to grade 6, meet with their leaders during Sunday School time. 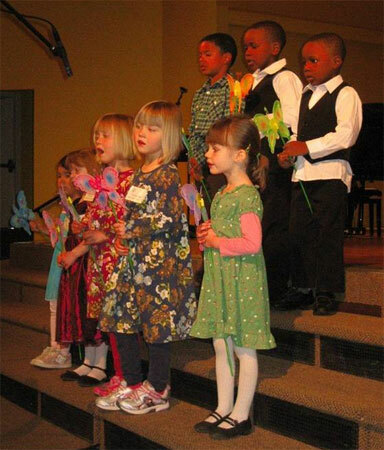 They delight the congregation with their lively action songs. Our worship services are enhanced by the upbeat musical selection of this group. 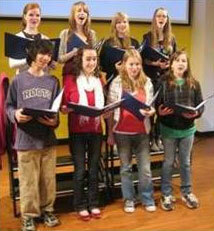 The Youth Choir is for young people from Grade 7 up through university. This group tackles more challenging repertoire in two and three-part harmony - and they have lots of fun singing together! They meet for half an hour after the service in the Youth Room. 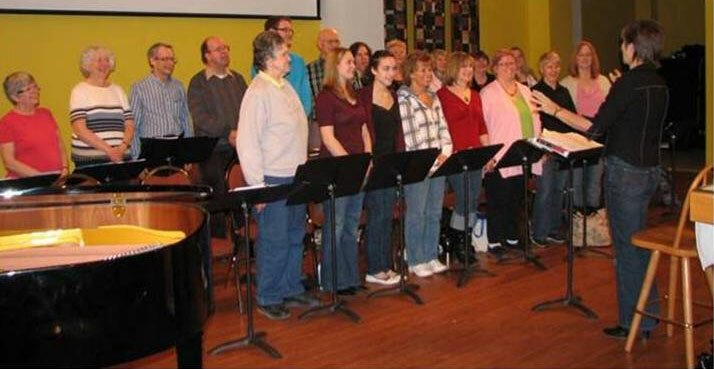 This choir is for any adults who enjoy singing. With four and five-part harmony we truly enjoy making music together. This choir sings every Sunday during the church services from the beginning of September through the end of June. We delight in making music together at the practices on Thursday evenings from 7:30 -9:30 P.M.